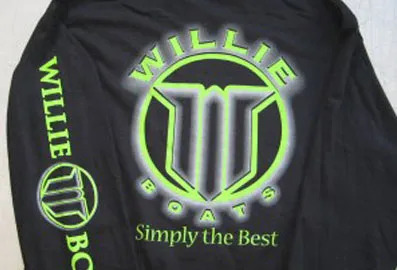 Here at Willie Boats, we’re all about customization. As Jim Bittle, President of Willie Boats says, “It’s your hamburger. You can have it however you like.” And he means it! From side heights and seat box dimensions to custom transom configurations, Willie Boats has been distinguished by its customers as the top choice for fishermen not willing to settle for a “good enough” boat. Our approach has led to the creation of some of the coolest aluminum fishing boats on the planet. 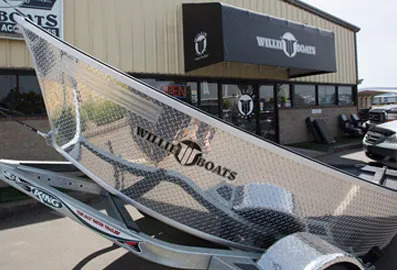 Check out some of the most popular options in the Willie Boats Family! Top-load rod lockers have been one of the most popular option developments in the last 10 years. It’s pretty nice to have a rod stored safely and completely out of the way, yet ready to grab when you’re looking to change tactics. At the end of a day on the water, you can simply lock your rods away, putting yourself one step closer to getting after-fishing chores taken care of. Willie Boats rod lockers are built to specification for each of our customers. Interior length and depth, as well as door lengths, are all customizable for your needs. All rod lockers include our all-welded hinge that eliminates potential through hole leaks. Rod lockers also include a flush mount locking mechanism with both durability and good looks. Our rod lockers are capable of storing between 4 and 18 rods, depending on your choice of interior lengths and depths, and the sizes of reels attached to your various rods. A fishing boat can never have too much storage. Many customers go to great lengths to maximize every nook and cranny of their Willie Boat. In-floor storage provides boat owners with a little more space, allowing for a slightly different boat configuration. In-floor storage is commonly used for permanent and removable fish boxes. Fish boxes can also be plumbed to allow for drainage. Using in-floor storage as a fish box, instead of the using the typical fish box storage in the bow, allows more room for life jackets, rain gear, or even tackle. As another option, in-floor storage can be configured to store batteries and other operational elements. Often times, these parts are stored in the transom. By moving them to the floor, transom space is freed up for more fishing-centric storage. For decades, welded aluminum boat owners have been plagued with the decision between an open or windshield modeled boat. 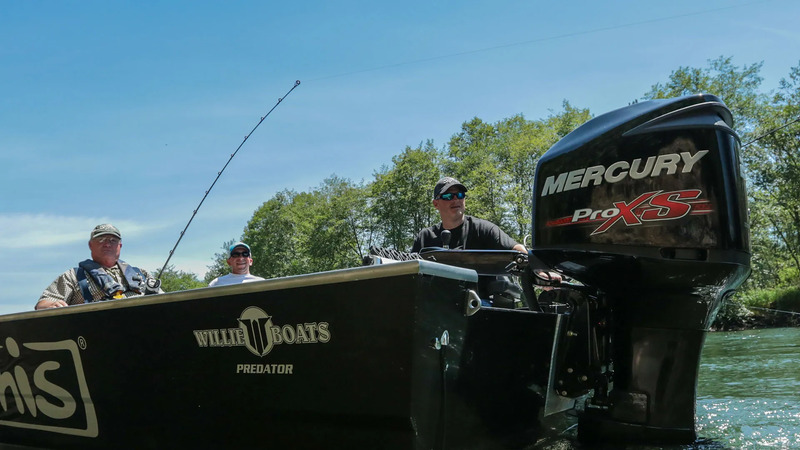 By choosing a removable all-welded windshield, Willie Boats owners now have the flexibility to utilize the protection of the front windshield in certain fisheries, and leave it at home during others. Are you fishing on anchor during the colder spring months? Put the windshield on, and snap in your optional cover. Are you moving later in the year to a fishery that requires a lot of casting space? Simply loosen four bolts to remove the windshield. Side locker storage allows a boat owner to utilize a space that often goes entirely unused. For example, many in the Willie Boats Family choose to operate out of Plano tackle boxes instead of traditional tackle boxes, because Plano boxes are inexpensive and allow for more granular organization. Just under the gunnel tray exists a small void that is perfect for two Plano tackle boxes. Thoughtfully configured, a Willie Boat Owner could potentially create storage for nearly all tackle without giving up valuable floor, seat box, and bow storage. Willie Boats has helped owners customize thousands of boats over the years. It’s what we’re known for! Take advantage of decades of knowledge to make your next boat exactly the way you want it. Do you have questions or ideas for your next boat build? Feel free to contact us at inquiry@willieboats.com or by phone at 541.779.4141.